According to General Manager of WICR radio and Instructor of Communication Scott Uecker, a podcast is pre-produced audio that is downloadable by a consumer to listen to at their own discretion. Uecker said he believes podcasts are a great way to learn. One on-campus podcaster who shares this sentiment is Assistant Athletic Director for Academic Advising Travis Smith. Smith produces his own podcast “Travis Talks,” originally called “Advise U.” Smith’s podcast discusses higher education and NCAA academic policy, featuring interviews and lessons explaining the link between the two. Before he sits down to record anything, Smith said he plans ahead. He said he typically likes to have five episodic topics mapped out in advance, which, according to Smith, is a good strategy to avoid burning out and continue producing consistent content. Smith typically does a lot of research, constructing his content in much the same way a student would diligently construct a well-thought-out paper. With the advent of modern technology, according to Uecker, many believe that anyone can feasibly start a podcast. In fact, many sites, including Twitter and Reddit, have memed the phrase “let’s start a podcast” as the millennial version of “let’s start a band.” However, according to Uecker, there is a very clear distinction between simply making a podcast and actually making a good podcast. 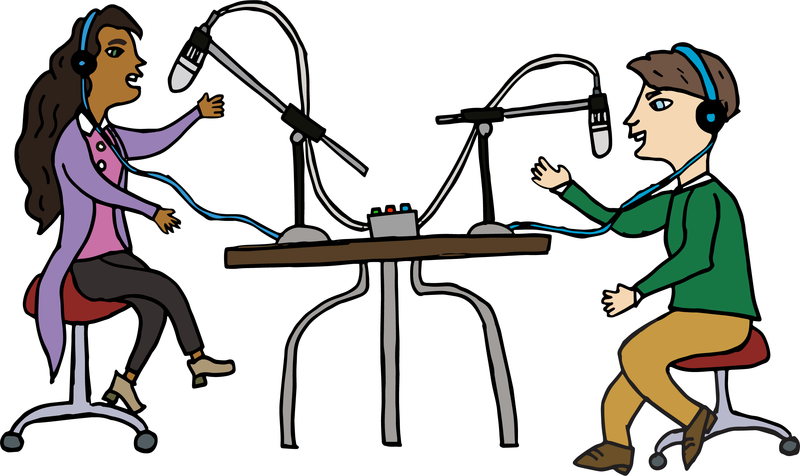 The medium’s diversity can be illustrated by the numerous podcasters scattered across campus. 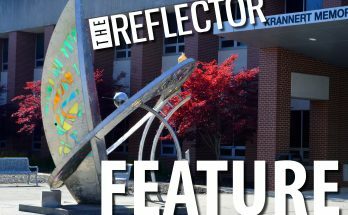 “The Flow,” an entirely student-run podcast, deviates from Smith’s in both content and presentation. Leaning on the more casual side, while Smith’s was intended to educate and inform, the creators of this podcast, sophomore Communication majors Carlos Alarcon IV, Charon Von Berg, and Isaias Jackson, wanted to build a brand and entertain. Yet another on-campus podcast showcasing the medium’s flexibility is the “Potluck Podcast,” organized by the English department’s Etchings Literary Magazine. This podcast, unlike Smith’s, is still very much in its infancy. According to Assistant Professor of English Liz Whiteacre, Etchings is attempting to explore different ways to make connections between artists and scholars. According to Uecker, one of the true merits of podcasts is their capacity to tell distinctly different stories in distinctly different ways. Podcasts can be audio dramas, like the award-winning “Wolf 359,” or news gathering sources like NPR’s numerous podcasts. Regardless, according to an article from Forbes titled “Everything You Need to Know to Start Your Own Podcast,” the future of podcasts appears bright.